Did God put Jesus’ Face on this Cross? Religistition. I wish I had come up with this word first. I like it. But I didn’t come up with it first, so it’s not mine, and it already has some baggage that I don’t intend. I thought of it sometime during my umpteenth attempt to write a tongue-in-cheek post about how Christians often obscure the Christian Faith with pop/folk superstitions. I didn’t publish it though, because it always came out… well, you wouldn’t have liked it. Like I said, somebody snagged it before me. Here’s an atheist’s blog that got there first. For this blogger, Christianity is a religious superstition – a religistition – just like all religions. Too bad. For me, Christianity is a faith, a set of beliefs, based in historical events that have been reliably recorded in the Bible. Unfortunately, the Christian Faith always seems to get mixed together with pop/folk superstitions and/or outright religious lies. That’s how I’d like to define religistition – a mixture of Christian faith with pop/folk superstitions. The Bible reliably records historical events. 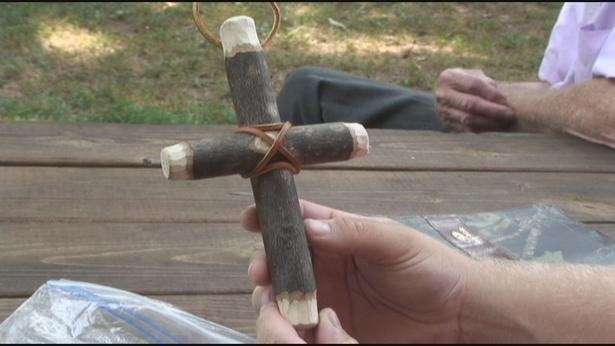 Christians mix faith with superstition. Since I really wanted to write about #3, let me very briefly defend #1 and #2. If you want more on those, leave a comment on this post and I’ll oblige. Promise. Quick Defense – The Bible is the most well-attested and internally consistent ancient document in history, especially the New Testament, in which multiple eyewitnesses recorded non-contradictory, complementary reports of what Jesus said, and did, and what it all means. Christian faith is based upon the reliability of those reports. If they are not historically factual, then Christianity is a superstition. Quick Defense – Christianity is primarily a set of truth claims taught by Jesus. It is not primarily about one’s personal relationship with Jesus. If it was, how is that any more objectively compelling than one’s personal relationship with Buddha, or with the cosmos, or your favorite song? Christianity is first of all the truth claims that Jesus taught us to believe and obey. It is a set of truth claims Jesus made that are either factually true or false. A personal relationship with Jesus could only be possible if what he said is factually true and if he really did what the Bible says he did. Christianity is first of all the truth claims that Jesus taught us to believe and obey. Okay, this is what I really want to address. Mixing of Christian faith with superstition – religistition – has been going on since the beginning of the Church. Even during biblical times the Apostles had to deal with religistitions that obscured the core truths of Christian faith. The Apostle Paul had to deal with people who wanted to mix faith in Jesus with a legalistic means of earning one’s own salvation. The Apostle John dealt with people who blended faith in Jesus with Greek philosophy. Both religistitions obscured the core message of Jesus’ life and teaching – what we call the gospel – the announcement that God will forgive our offenses against Him because Jesus already suffered the penalty for them on the cross. In the middle ages the Roman Church taught a religistition that sins would be forgiven if you gave money to build a cathedral, or made a pilgrimage to see/worship/kiss (for a $fee) a religious relic. The more suffering along the pilgrimage, the better. Our religistitions aren’t usually that grandiose. But they can be just as effective at blinding us to the gospel by making us forget it, ignore it, or by making us lose track of the fact that obtaining forgiveness of sins is my biggest problem. Our religistitions tend to mix in lesser truths or half-truths in such a way that elevates me to center stage in some way. Somehow, faith must be about me, my life, my experience, my wants, my something – just not my sin. Here’s a sample of modern American-christian religistitions that all lose focus on what’s really important. God wants me to be miserable. God wants me to be financially comfortable. God wants me to be poor. God wants my life to be trouble-free. God wants me to suffer. God wants me to be healthy all the time. God wants me to be sick. God wants my career/marriage/kids to fulfill my life. God wants me to hate my life. God wants me to grow up and figure life out myself. God accepts me because I do my best. God rejects me because I don’t do my best. God accepts me because I’m sincere in my beliefs. God accepts me because I’m a good person. God is in everyone, everything, and every religion. Everyone has a little bit of God in them. If I pray today, today will go well. If today goes badly, it’s because I didn’t pray. If I believe hard enough then it will come true. If I don’t get what I want or need, it’s because I don’t have enough faith. The more sincere I am, the more likely it is that God will answer my prayer. God only makes good stuff happen. Satan makes all the bad stuff happen. If I lead a good life, God will make only good stuff happen to me. Sometimes bad stuff just happens and there is no explanation. Trust in something true will never fail you. But what if you trust in something on this list of half-truths and untruths? And what if that half-truth/untruth obscures a huge, ultimate truth? It’ll let you down. It’ll disappoint you. Or worse. Has your faith let you down? Mine has plenty of times. But that’s only because my faith needed to become more Christian, and less religistitious. I need to learn the Bible. I need to study it habitually. I need the help of great teachers (generally, not the latest TV preacher) to help me better understand my greatest problem (sin) and God’s great solution (the gospel). Christian faith is the faith of the gospel Jesus taught and bought. No add-ons necessary. And that will never fail me. What other modern religistitions can you think of? ← Why Do We Have to Go to Church?